We had a few extra hours today while my wife was shopping so I took the boys to see Rio, which was really funny and the boys loved it. 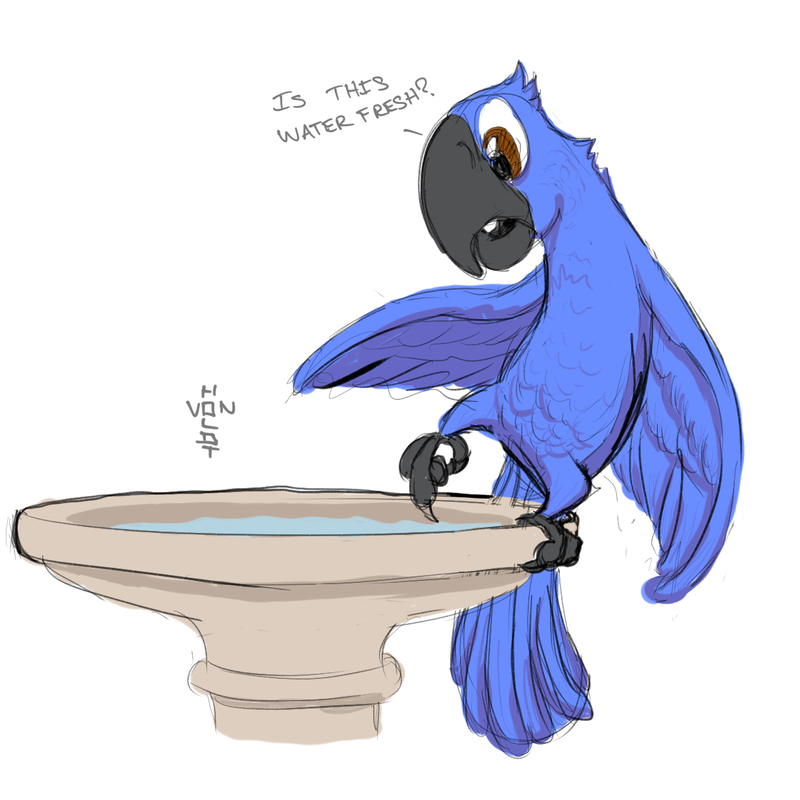 I liked the bird bath line from the movie. This entry was posted on April 25, 2011 at 7:00 pm and is filed under Doodles, Shows, Toons. You can follow any responses to this entry through the RSS 2.0 feed. You can leave a response, or trackback from your own site.